Some people visit Japan to admire the ancient temples of Kyoto, challenge their mind and body with a hike up Mt. Fuji or take part in some of the celebrated summer matsuri (festivals) that happen each year. Then there’s the rest of us, who come to Japan to live out our foodie dreams. We scour the streets to eat like a local, the Anthony Bourdain of tourists experiencing culinary masterpieces unique to Japan. The beauty of food culture in Japan is that it is everywhere. You can enter a ramen shop for a bowl of noodles, only to see a cooking show playing on the TV overhead debating shio (salt) versus miso broth. Even Japanese convenience stores have food that can put some restaurants to shame. Japan loves food, so it shouldn’t come as a surprise that there are food-themed parks and museums scattered throughout the archipelago. 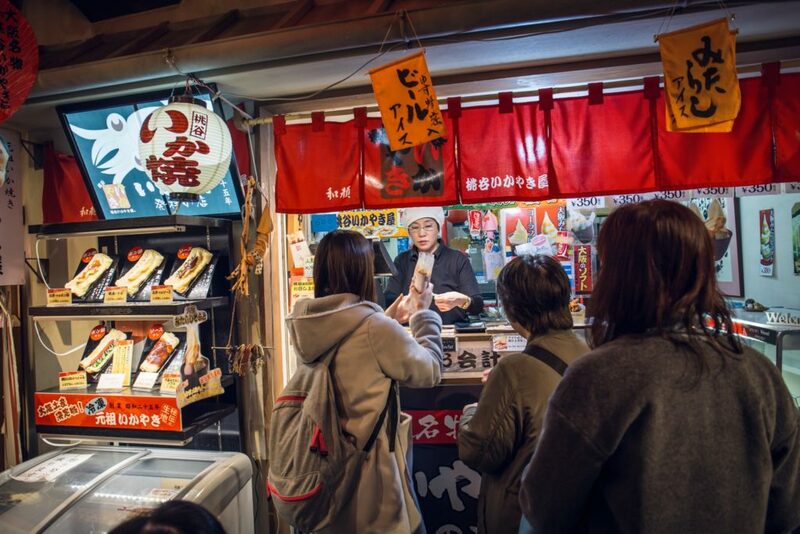 At these sites, the Japanese showcase some of their most revered and beloved food, whether it be takoyaki (octopus dumplings) or pollock roe ice cream. For those who are always hungry when on holiday or want to show their deep appreciation for Japanese culinary traditions, here are seven food-themed parks and museums for you to check out. Located in Gunma Prefecture, Konnyaku Park showcases one of Japan’s staple ingredients. For those who aren’t familiar with konnyaku, it’s a gelatinous food made out of processed konnyaku “potato” also known as konjac. This has long been used as a diet food because it is low in calories and carbohydrates. What makes Konnyaku Park so unique is that once you tour the building and see how this low-cal food is made, you get to go to a buffet and eat all of the konnyaku dishes for free. In fact, there is no entrance fee either. Visitors are only required to fill out a short survey upon arrival, which then grants you access to the konnyaku factory and buffet. Dishes include ramen and curry, just to name a few. Fun fact: Konnyaku Park has recently received a lot of attention from the media because it was featured in an episode of the binge-worthy Japanese reality TV show Terrace House. Run by major mentaiko, or pollock roe, producing company Kanefuku, Mentai Park seeks to educate guests on the processing of mentaiko. After touring the facilities, try some of the famous mentaiko rice balls or mentaiko soft serve ice cream to complete the experience! With locations in Ibaraki, Aichi, Kobe and other cities in Japan, all Mentai Parks are easily identified by their cute mentaiko mascot. Who knew that fish eggs could be so adorable? Naniwa Kuishinbo Yokocho is located within the Tempozan Marketplace shopping mall. A food theme park where visitors can local favorites of foodies’ paradise Osaka under one roof, in a nostalgic setting reminiscent of the streets of 1960s Osaka. Among Osaka’s many nicknames, kuidaoremachi (食い倒れ街) or “city of eat until you drop,” has to be one of the more famous. 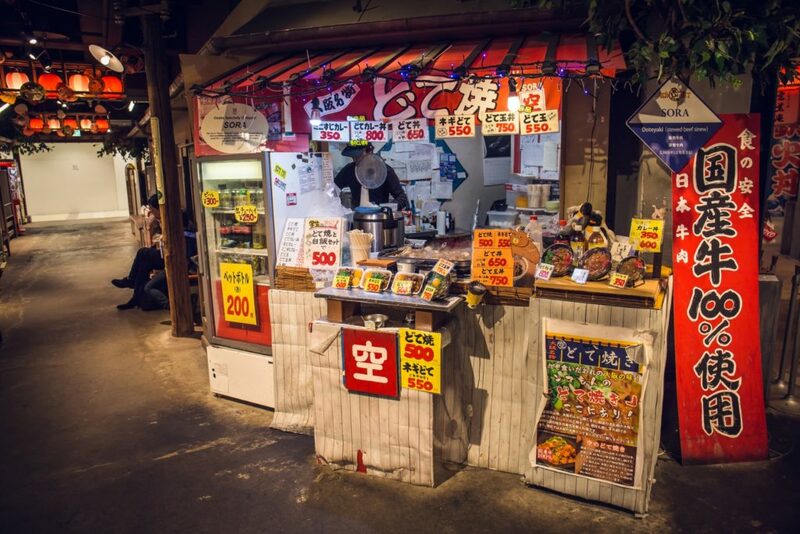 At Naniwa Kuishinbo Yokocho, you can do just that under one roof! After entering the pyokocho, or side street, you are transported back into the 1960s streets of Osaka. Here you can enter various restaurants and order classic Kansai food from around 20 restaurants while soaking in the Showa vibes. Takoyaki, okonomiyaki (savoury pancakes) and kushikatsu (deep-fried, skewered meat and vegetables) are just a few of the western Japanese delicacies that are served. This quaint establishment’s soft pink interior and hands-on experiences will have you looking at ginger in a much different light. The New Ginger Museum in Tochigi Prefecture is appropriate for all age groups, as it has extensive information about Iwashi Ginger (Japanese only) and plenty of props and toys for children to play with. Afterward, you can go to the New Ginger Café and try various ginger dishes and beverages, such as pink ginger ice cream and ginger beer. Ryogoku is an area in Tokyo that is famous for sumo wrestling. Every year, many tourists flock to this quieter area of the big city to catch the morning practices at its various sumo stables or to visit Ryogoku Edo Noren. This Edo-themed venue houses 11 restaurants that circle around a sumo ring. The restaurants serve anything from the famous sumo wrestler staple meal of chanko nabe to sashimi and tempura. The year 1958 is significant to all die-hard ramen fans because that was the year that Cup Noodles were invented. This detail did not get past the organizers of Shin-Yokohama Raumen Museum when designing this time capsule food park. Upon entering the facility, you walk through what appear to be the old alleyways of Tokyo in the 1950s filled with Showa-era advertisements and memorabilia. On the ground floor, there are nine famous ramen restaurants showcasing noodle variations from all over the country. You can order a regular serving of ramen or opt for a mini-size bowl and restaurant hop your way through the different styles and regions of Japanese ramen. Fun fact: If you’re into the instant noodle variety of ramen, you can also visit the nearby Yokohama Cup Noodle Museum to find out the history of instant cup noodles and try your hand at designing your own noodles cup for a souvenir! 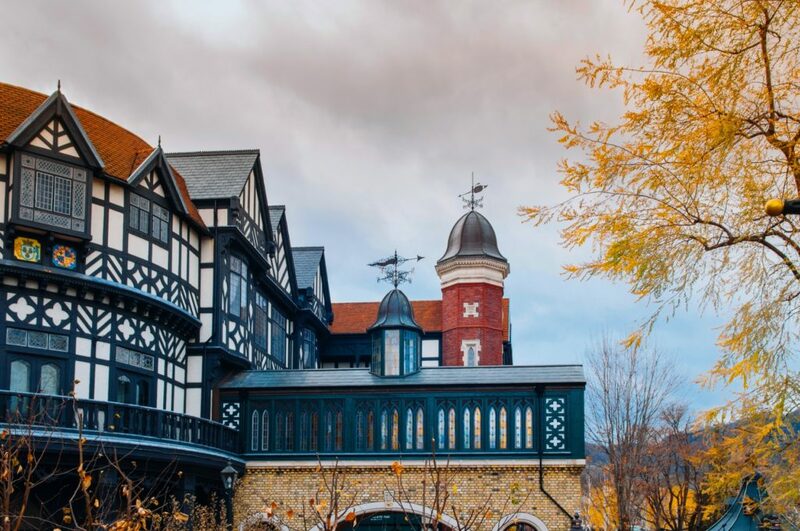 The famous European-style building at Shiroi Koibito Park chocolate and desserts factory. Shiroi Koibito is one of Hokkaido’s many exclusive treats. If you haven’t had the pleasure of having one of these made-only-in-Sapporo sweets, Shiroi Koibito consists of two lang de chat cookies with either a white or milk chocolate filling. Visiting this cookie park is a must if you happen to be in Sapporo. Visitors get to see how the cookies are made and can even try making their own! Whether you choose to try to pollock roe ice cream or not, it’s undeniable that experiencing food — delicious to you or not — through all five senses is more fun than just reading about it on the wall of an exhibit or food-related blog articles. Food-themed parks and museums aim to make education about a region’s cuisine or specialties fun for people of all ages and backgrounds. Visiting one of these destinations not only makes for an exciting — and possibly hilarious — experience but it also allows visitors the chance to really see, smell, touch and taste the culture of food in Japan. Do you know of any fun and noteworthy food-themed parks, museums or experiences here in Japan? Leave a comment below! 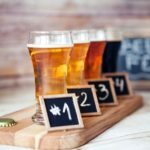 Lovers of craft brew unite! As spring approaches celebrations of beer blossom! 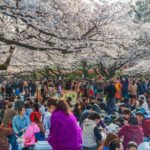 If you want to tone down the sakura celebrations this year, here are five alternatives to squatting in the cold on a blue tarp. Soak in the nature and history of one of Japan’s oldest traditions — with ladies and gentlemen alike!